And the winner is – Yacht and Beach Club!! This 3 acre beachside water park is a blast for the whole family. 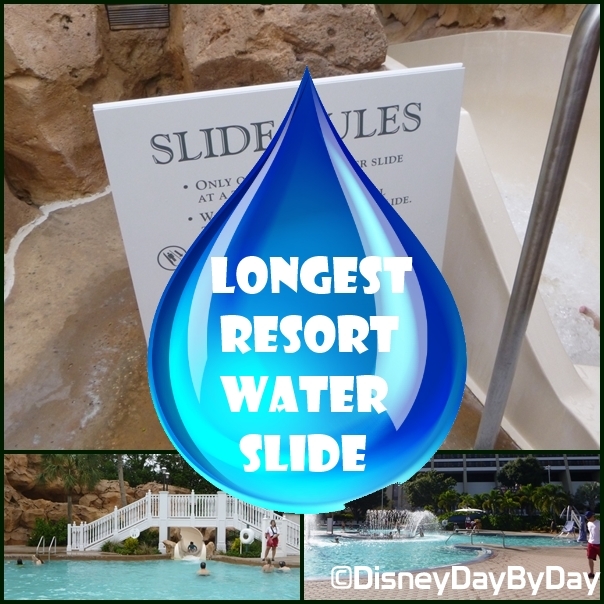 With around 800,000 gallons of water there is everything from sand-bottom pools, lazy river, whirlpool spas, and our soon to be favorite 230 foot long waterslide (also one of the highest at Walt Disney World Resort). As they conceived Epcot, many new types of ride vehicles had to be invented, the standard omnimover would not give the Imagineers what they were looking for. One of these attractions ended up with a vehicle that is rotated on a bed of air. Which attraction would you guess that would be? 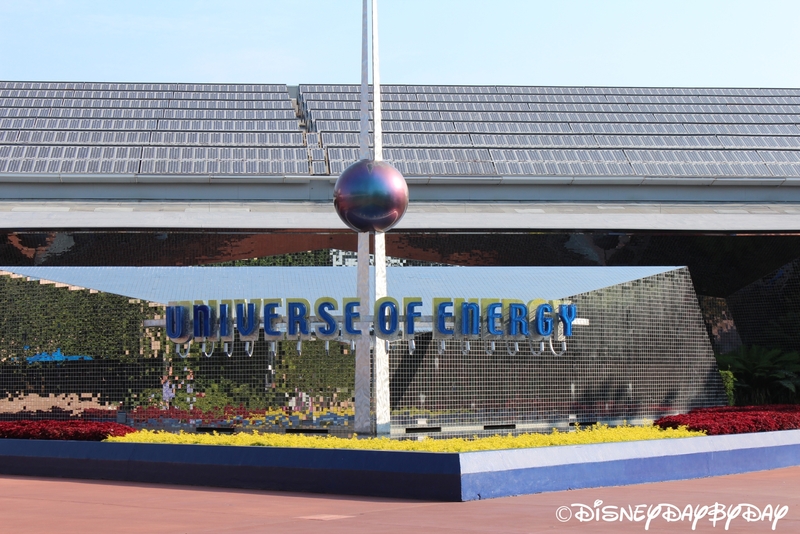 The answer is The Universe of Energy! The new concept of the traveling theater allowed for something never done before at Disney, the combining of different types of experiences: film, live action, and special effects. But, it also added a level of complexity to the mix, how could they build the attraction with large traveling theaters which had to change directions easily in such a small space. Disney developed the turntable. These turntables had to rotate 80 tons of traveling theaters quickly and quietly. The turntables are able to do this by using 60 air bags mounted under each turntable. The air bags are inflated which raises the theater about 1 inch and excess air provides a layer of air between the vehicle and the floor below. This process virtually eliminates any friction and allows for a small motor to turn the 80 ton theater. 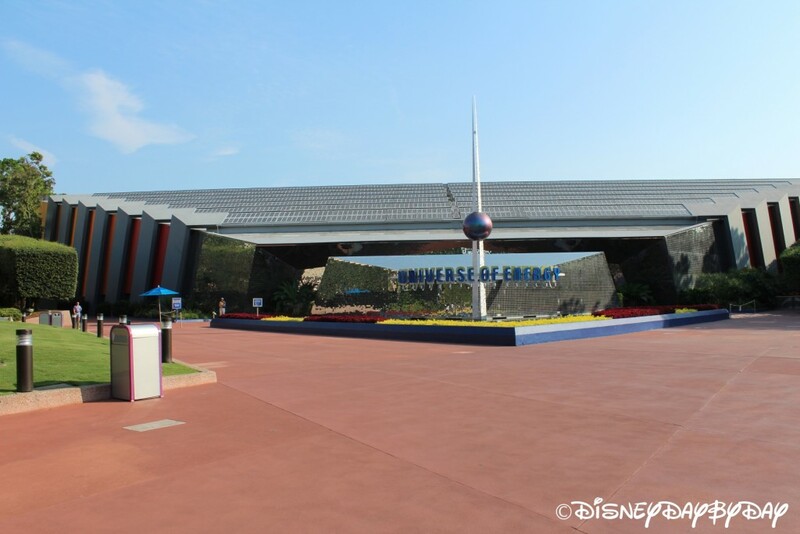 So, have fun riding on the giant hockey puck next time you ride the Universe of Energy. Looking for more Trivia – be sure to check out TIGGERIFIC TUESDAY TRIVIA, hosted by Magical Mouse Schoolhouse, My Dreams of Disney, and Heidi’s Head! Today’s Tip is an easy one and one I tell everyone headed to their first trip to a Disney Park. 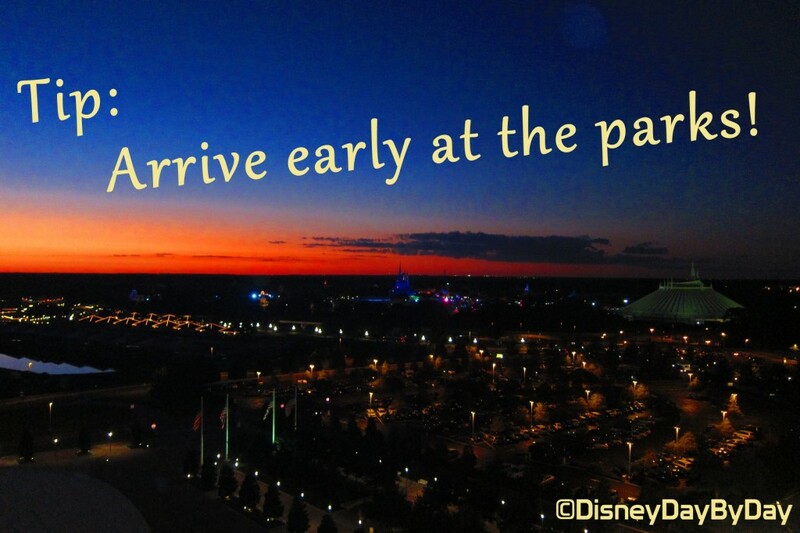 Arrive at the parks early! I know this is a simple tip but this seems to be the first thing to go when people begin to stay later at the parks than they had originally planned the night before. Be sure to take a little time to plan our your trips – what parks you are going to each day and when you plan to stay late or go early to each park. Getting to the park even 1/2 hour before the park opens assures you will be in the park before the crowds. You will be able to hit two or three attractions before you will start seeing the bulk of the crowds coming through the gates. This also gives you the opportunity to head out of the park mid day when it’s the busiest to enjoy some pool time or a nap at your resort, then return later in the day when again the crowds are a bit lighter late in the afternoon. I know it’s your vacation and you don’t want to schedule or get up early, but throw an early morning in there and you will be surprised at what you get done before the crowds hit. Be sure to stop by Can Do It Mom to see all the other great tips this week on Minnie Tips Monday! One of the reasons that I fell in love with Disney was their commitment to quality and how they never compromise on it. This commitment was all started with Walt. 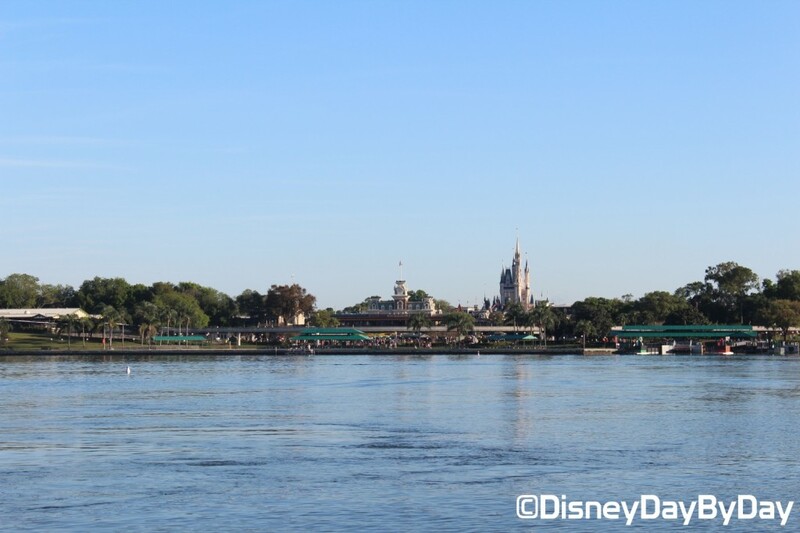 I love hearing the story of when Walt wanted the Sleeping Beauty Castle spires to sparkle. No, this could not be done with paint or anything else in Walt’s eyes; this had to be 22 karat gold. But his brother Roy, the money thinking side of Disney, wanted no part in the cost of real gold on the castle. Since Walt was not willing to compromise he sent Roy away on business and while he was gone went ahead and had real 22 karat gold applied to the castle spires. Gold still adorns the castle today. This commitment to quality made Disney what it is today. After Walt’s death, Roy picked up the Disney World project with many of the directions already set in place by Walt. There were a few things that could have been changed early in the project to save money, but Roy now understood Walt’s quality commitment and went along with his brothers previous plans. One of these was the location of the Magic Kingdom. The accountants at Disney were arguing that the location should be at the intersection of two highways at the front of the property. This would save the Disney company time and millions of dollars. Walt’s plan called for the Magic Kingdom to be at the back of the property bringing the guests slowly through the property. You know the decision Roy made. Another of these decisions came with the location of the parks services. They could go with backstage buildings or put many of the services under the park similar to what Walt had proposed for EPCOT. Meetings were held and again the accountants wanted to save money. $5 million is what it would cost and that was a big chunk of change at that time. Again, you know the decision that was made. Which brings us to our trivia question this week…. Overtime many companies fall victim to sacrificing quality to make more money which is always only a short term win. I hope the Disney company continues to learn from the man who started it all and keep their quality standards high. The answer this week is C – the ground had to be raised 16 feet so that the utilities/services could exist under the ground at the Magic Kingdom. Over 8 million cubic yards of dirt had to be moved forming a 200 acre lagoon. Did You Know This Weeks’s Tiggerific Tuesday Trivia about Mickey Waffles? We all love them, science has proven that anything Mickey shaped tastes better. But did you know that that batter used to make Mickey Waffles can be purchased and you can make them at home? 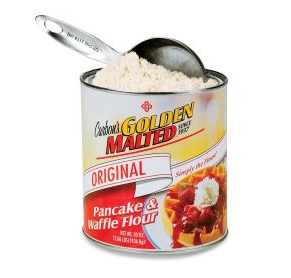 Disney uses a brand of waffle mix from my home town of South Bend, IN – Carbon’s Golden Malted Pancake and Waffle Mix. Carbon’s has been in business since Since 1937 and supplies waffle mix to over 70% of all hotels. The company gives its waffle makers free of charge to companies that purchase the waffle and pancake mix. As the company continues to use their mix they service and replace the waffle makers again free of charge. Disney alone makes 1 million servings of Mickey waffles each year and I eat my fair share. 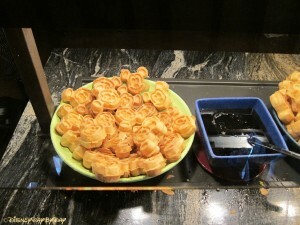 So next time you are craving the Mickey waffle, be sure to grab some Carbon’s mix and a Mickey Waffle Maker. If you are in the Chicagoland area be sure to be on the lookout for Carbon’s Food Truck. What’s your favorite Mickey Shaped Food or Snack – stop by our Facebook page and join the conversation. Did You Know This Weeks’s Tiggerific Tuesday Trivia about the number of butterflies in Tinker Bell’s Butterfly House? 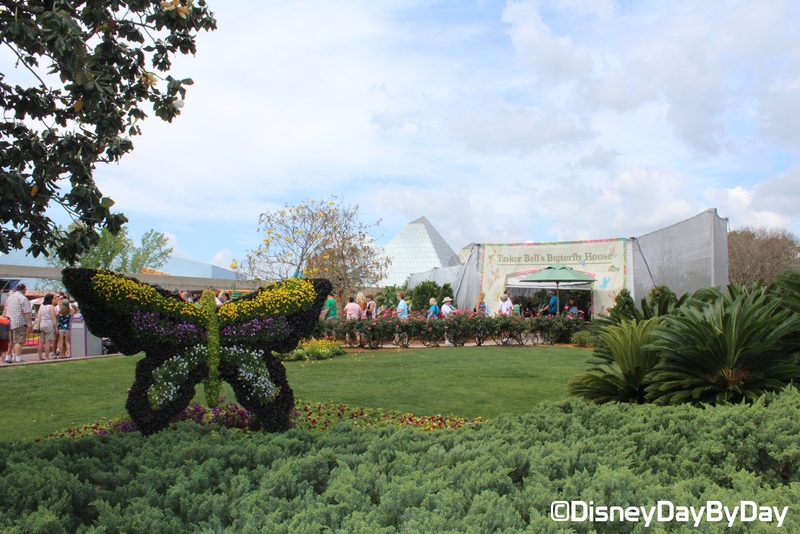 The Flower and Garden Festival at Epcot is now in full swing. The park is covered with amazing floral displays and topiaries. 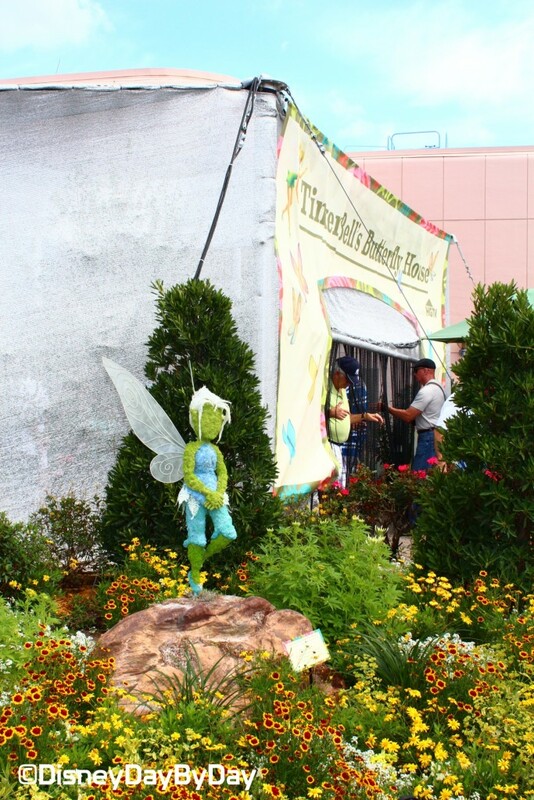 One of our favorite spots that seems to be missed by many at the festival is the Tinker Bell’s Butterfly House. Check your maps on the next trip and make sure you walk through the house. As you explore, count up the butterflies you see…. 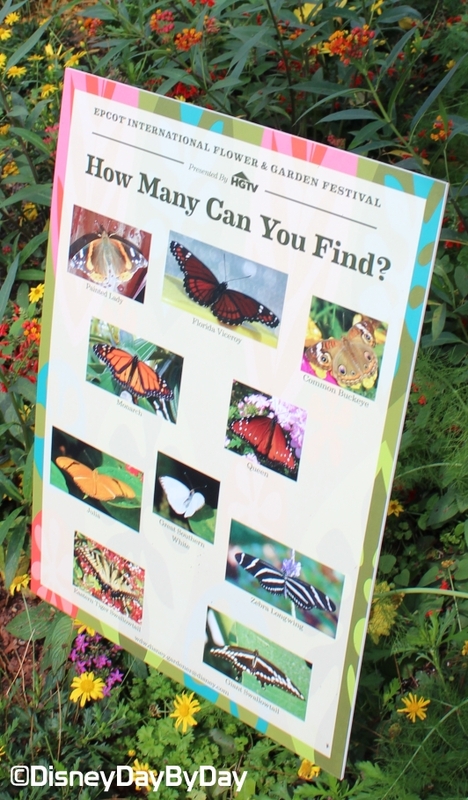 How many butterflies are living in the Butterfly House? The answer is C, ~1000 native butterflies which represent around 10 species take up residence at Tinker Bell’s Butterfly House. Depending on the time of day you visit you may see more of them active, if you don’t see many flying take a close look at the plants to find them hiding. In the garden there are many different types of nectar plants for them to hide and feed off of including Butterfly Bush, Blazing Star, Canna Lily, Cape Royal Plumbago, Coral Honeysuckle, Passion Flower, and Scarlet Milkweed. How many butterflies did you count? What is your favorite part of the Flower and Garden Festival?